Leopards are beautiful cats generally found in the dense, damp, forested areas of India and Southeast Asia. Once common in all parts of Africa apart from the Sahara, they have now disappeared from most parts of northern Africa (apart from a few areas of the Atlas Mountains) and are scarce in the extreme west of the continent. 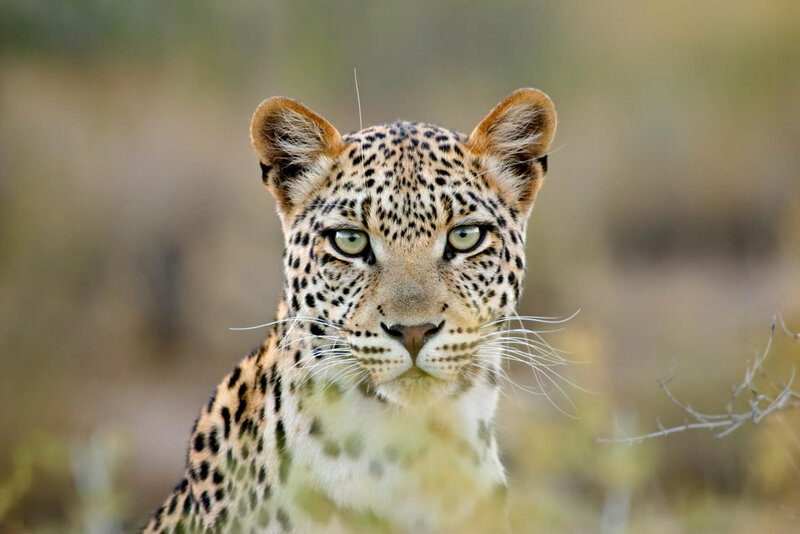 The leopard is under extreme threat, especially in the Middle East and southwest Asia. It is listed as Near Threatened on the IUCN Red List because it is declining in large parts of its range due to habitat loss and fragmentation, and hunting for trade and pest control. It is regionally extinct in Hong Kong, Singapore, Kuwait, Syria, Libya and Tunisia. The European fashion for leopard skins may have diminished since the 1970s, but leopards are still killed for their skins. These crimes are often overlooked. While it is illegal to take leopards from the wild to put in zoos, captive-bred leopards (and other animals) retain their wild instincts. They are shy creatures, used to remaining hidden and avoiding open spaces. Zoos want people to see the animals and so, in captivity, leopards are often prevented from engaging in their natural behaviors. For just $3400, you can track and kill a leopard on a Big Game Hunting Trip. These trips are geared toward tourists. You list the animals you want to kill and the tour guides will take you to where you are likely to be able to kill them. The bones of the leopard are used in traditional Asian medicine and are sometimes prescribed as a substitute for tiger bones in the treatment of rheumatic diseases and aching joints and muscles. Ironically, the success in controlling the trade in tiger parts may actually have led to greater risk for other cats. Do not support any form of animal entertainment. Do not purchase animal products. Write to your U.S. Representative and your two U.S. Senators and tell them that you do not want your tax dollars spent on game hunting. Write to The Honorable __________, U.S. Senate, Washington, D.C. 20510; The Honorable __________, U.S. House of Representatives, Washington, D.C. 20515. Write to the conservation organizations that you want to support and ask them about their policies regarding game hunting and animal entertainment. Spend your well-intentioned donation wisely.